After you have invested time, effort and money to recruit a new employee then you owe it to yourself and your new employee to make sure that they have the best orientation or on-boarding that they need to properly settle into being your new employee and doing their best job. Many a times, employers hire new employees and do the injustice of having them go through a shoddy orientation process that does little to nothing in immersing that new employee into the culture of the organization and letting them know things they need to know about the way the organization works. Employers are neglectful in failing to understand that their best asset are their employees. When you have happy employees who are loyal, they would usually go the extra mile in making sure that your customers are satisfied. Create a great welcome/ on-boarding experience for your new hires- they are adults who have chosen to work for you. Make it easier on them! 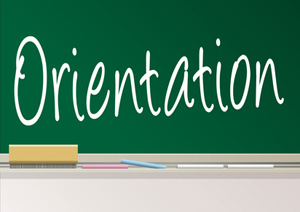 A good orientation is a a first window into how your organization works and if you do it right, then you would create a situation for loyal employees.